Our TVs are giant computer monitors, if we want them to be. If you’ve never used Word on 32 inches of screen, I don’t know what you’re doing with your life. What? You say you want to GAME on screens that big, I guess that makes sense. 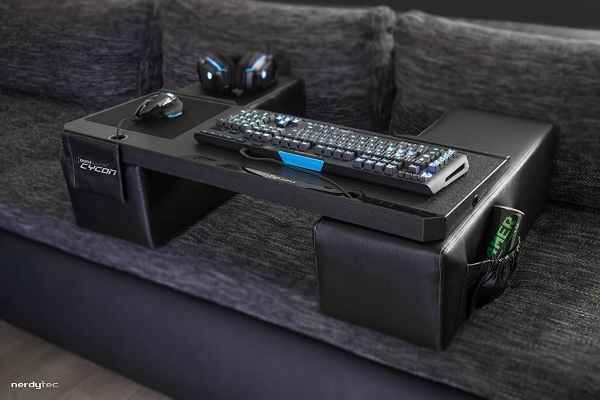 Anyway, if you want to compute from your couch, check out the Couchmaster, the lap desk made for your couch computing life. This lap desk is specially designed to be used on your couch. 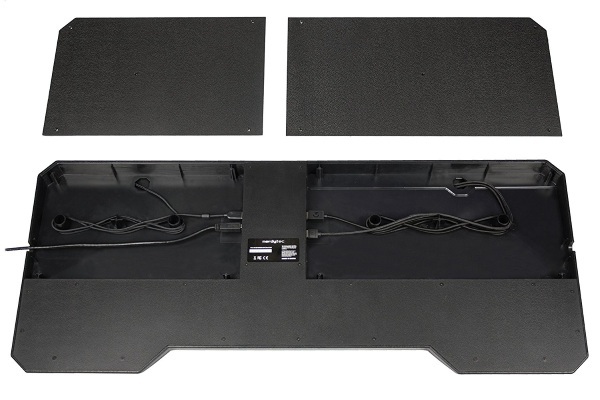 It comes with arm supports and wire ports specially designed to keep you comfortable and clutter free while you’re on your couch, getting your game on. Set up more like a breakfast tray, this is made to support itself so that you can have the most comfortable posture for using a keyboard and mouse. There’s space for headphones, and even a pocket to hold snacks and drinks. Contains four USB 3.0 ports and cord management options so your living room doesn’t become a tripping hazard. You can get this for $149.